Ugh...yeah, no, make the game interesting again first, then I'll think about buying extra stuff. Pretty cool, but books take up far too much space. So this is what blizzard's been doing instead of fixing the Azerite system? Jobs I wish I knew existed as a child Paper Engineer. That sounds fun, well, minus the paper cuts. So I can have my own pop-up burning of Teldrasil IRL?!?!?! they owe me an art book for BFA collectors box. Bööks are always welcome to my shelves, although I'll wait for reviews on these. That pop-up had better come with smoke effects tho!!! If salt was a currency we'd be able to mine it and topple governments!!! I love the "making books instead of fixing systems". Imagine going to the cinema and watching a movie, but the quality was rather low, and to understand what the movie was about you had to read some books (for which you had to pay too). I suppose releasing a book is more lazy and cheaper than telling quality story in game. These are literally artbooks for three different games, but okay. Jup! It works like a zippo lighter! Flick it open and it burns! Real immersive book as it turns your house into a replica of the events that transpired that day! Blizzard has sold abunch of books I don’t see how it’s desperate. Not even close to the same teams. 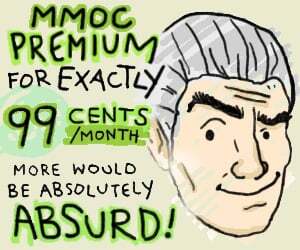 It's now sold separately like a DLC.